The Lady Legends had an incredible season. 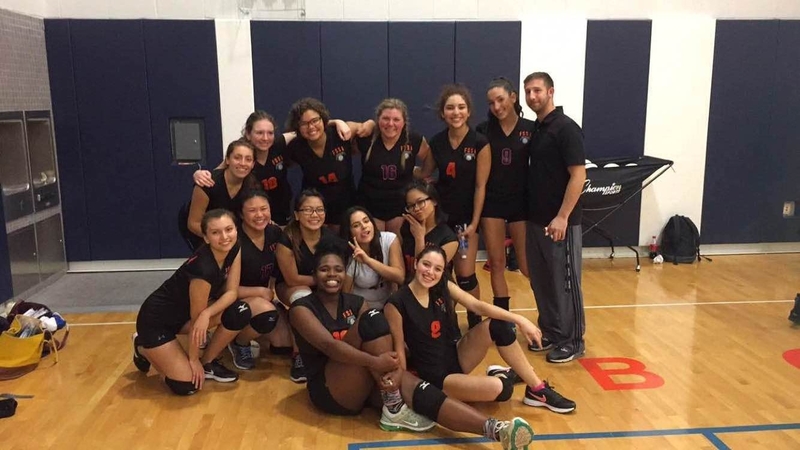 The girl’s volleyball team ended their outstanding comeback season with a 6-4 run in the B division. Suffering from their loss of more than five senior players, the varsity team had to come up with a new game plan in order to make it to the playoffs. With determination, as well as great coaching, these girls sure did make a comeback. “I was somewhat surprised how well we did, but at the same time we are a team with chemistry and we can overcome anything,” said Theresa Vu, a junior art major here at Frank Sinatra. Vu has been playing all three years now and has developed a deep love for the game. “I am always determined to succeed in any sport I play, but volleyball is so much fun. It is such a free sport in which I can just kind of let go and just play. The one thing that I believe in when playing a sport is hard work, because without that you will never get anything out of it,” Theresa said. Although volleyball is not necessarily a high scoring game, it is definitely an intense game. Between the moaning, slamming of the ball onto each player’s tomato red wrists, or the squeaks of each player’s shoes on the wooden floor the game of volleyball never rests. “I love the game, and honestly playing with Mr. Pullano is the best, too. And even though we lost our last year’s players, I think we did pretty well. We all played so intensely which is why we did as well as we did,” Theresa added. Although some games they were defeated 2-0, they continued to make a comeback throughout the season as well as the playoffs. These girls worked so hard for the reputation that they have, so why stop now? Isaac has gone to almost every single game in support of the girls and offers a fair comparison of the two squads. The girl’s teams here at Frank Sinatra are very competitive. They play to win, and if not, they play to make it a respectable game. With a successful season, and making it to the playoffs, these girls deserve a round of applause.